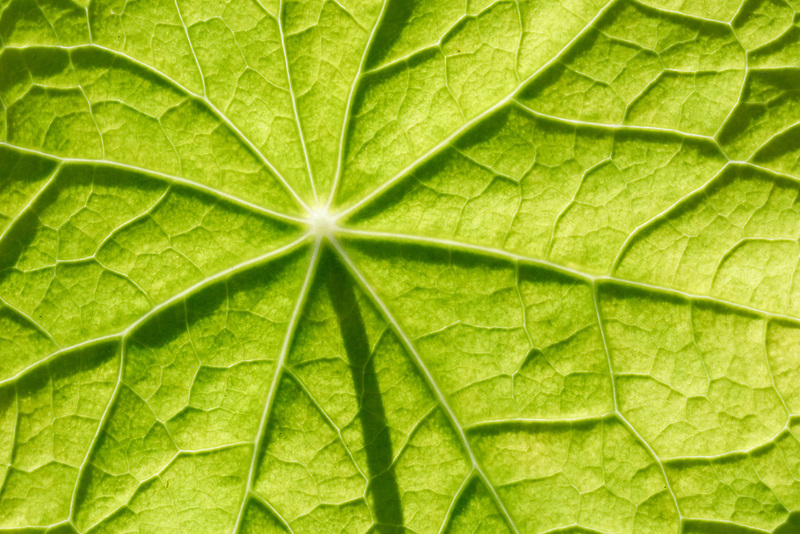 Backlit Nasturtium leaf in garden in Southcentral Alaska. Summer. Afternoon.